Seoul’s Ministry of Unification (MoU) requested South Korean citizens not visit overseas North Korean restaurants on Wednesday at a regular press briefing, in line with President Park Geun-hye’s speech on the same day. MoU spokesperson Jung Joon-hee emphasized the gravity of the situation, even though it is not against South Korean law to visit the restaurants. “Please refrain from any kind of activities financing North Korea under the current situation,” Jung told journalists, after Park called for “all possible measures” to sanction North Korea at the National Assembly yesterday. The notification was delivered to diplomatic offices in foreign countries, the spokesperson from the Ministry of Foreign Affairs (MoFA) told NK News. There are a number of North Korean restaurants in Chinese cities including Dandong, Shanghai, Beijing and others in countries around Asia and Europe. 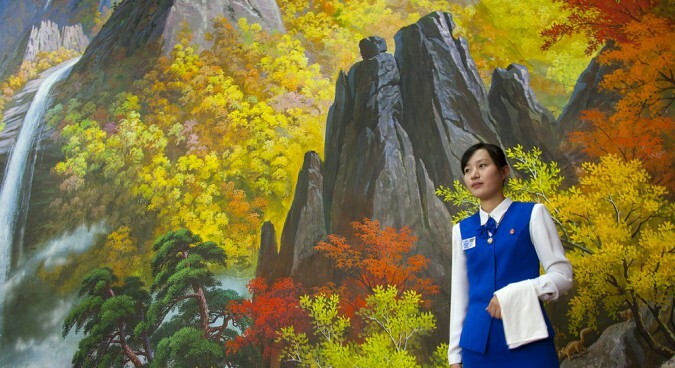 South Korean tourists often visit those restaurants motivated by curiosity about North Korean food and culture. South Korea also recommended not going to the restaurants after the Yeongpyong Island shelling in 2010 and after the rocket launches in 2009 and 2012. “There are more than 10 restaurants in Dandong and about five in Yanji,” Kang Dong-wan, a professor at Dong-ah University told NK News. The MoFA said the exact number of the restaurants in foreign countries has not been counted. “Restaurants like Koryo-won, Koryo-gwan in Dandong and Arirang in Yanji, are large sources of profit for North Korea, managed like a corporation, contracted with South Korean travel agencies” Kang added. Overseas labor is a large source of foreign currency for North Korea, numerous reports on the issue have claimed. North Korea earns between $200 million and $300 million from approximately 50,000 overseas workers per year, according to the Database Center for North Korean Human Rights (NKDB). A large percentage of them are working in Dandong, around 20,000. The revenue is more than twice the total wages paid to North Koreans working at the Kaesong Industrial Complex last year, which is around $100 million. “Ninety percent of their wages are ‘contributed’ to the regime. Most of projects involve subcontracted jobs, which means the laborers have to pay expenses to brokering managers again. The laborers work a part-time job to make up their living,” Lee Seung-ju, a researcher at the NKDB said at a press briefing last December. The largest labor importing countries are China and Russia, the report published by NKDB reads. One expert based in China, however, pointed out practical difficulty in blocking these workers. “There is ‘doughnut pattern’ in Chinese outlying regions. What backs up those regions’ economy is producing added value by using North Korean labor,” Lee Chang-ju, Ph.D candidate of Fudan University, told NK News. Lee said pressing North Korea will have a negative impact on the local economy of both Liaoning and Jilin provinces. PSCORE, a North Korean human rights NGO has recommended providing equal and safe labor conditions to overseas North Korean workers, saying they should retain most of their wages, through its report published last December. Seoul’s Ministry of Unification (MoU) requested South Korean citizens not visit overseas North Korean restaurants on Wednesday at a regular press briefing, in line with President Park Geun-hye’s speech on the same day. MoU spokesperson Jung Joon-hee emphasized the gravity of the situation, even though it is not against South Korean law to visit the restaurants. Subscribe to read the remaining 490 words of this article.